Our mantle is made of stone. This makes stocking hanging nearly impossible. 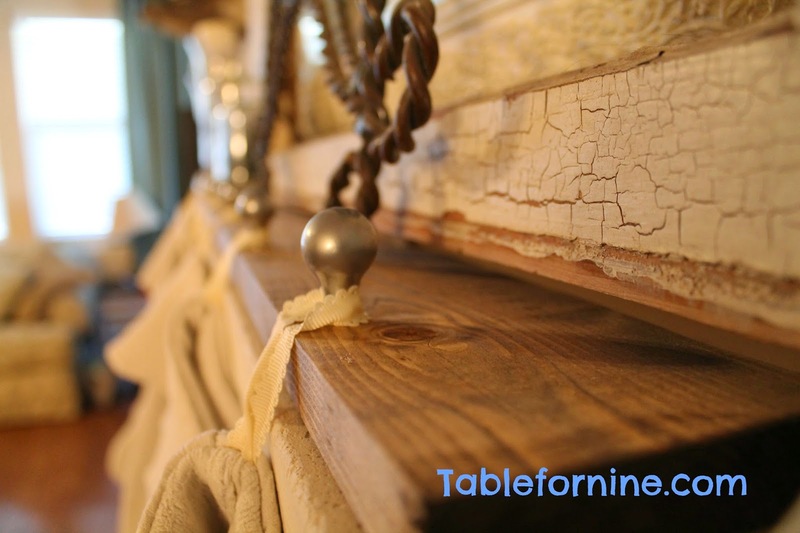 When I had a wooden mantle, I put cup hooks in the underside and hung the stocks from those. I used plastic command hooks also and that worked well, but didn’t look so hot. So I went in the garage (otherwise known as hoarder hell) and found a scrap piece of wood, some old stain and a package of drawer pulls that never got used. Yep, this project cost me zero dollars. My husband had everything in the garage. Even if you had to buy every single item, you should be able to keep it under 20 bucks. You can buy single knobs in a hardware store, or packs of multiple knobs. I wanted small knobs because that’s not what I wanted the focus on. These very small silver knobs from Ikea worked perfectly. I stained the wood, then measured where I wanted all the knobs. This was the hardest part because we have seven kids, thus seven stockings and numbers hurt my head. Once the stain was dry and the knobs installed, I just laid the wood on the mantle and hung up the stockings. I will not leave them hung up after they are full because I don’t think it will support the weight of seven full stockings. I made all new stockings last year for the kids. I was tired of mis matched stockings that we had collected over the years. I used an old matlasse coverlet that we no longer used. The pretty scalloped edge worked really nicely for the stocking cuffs. 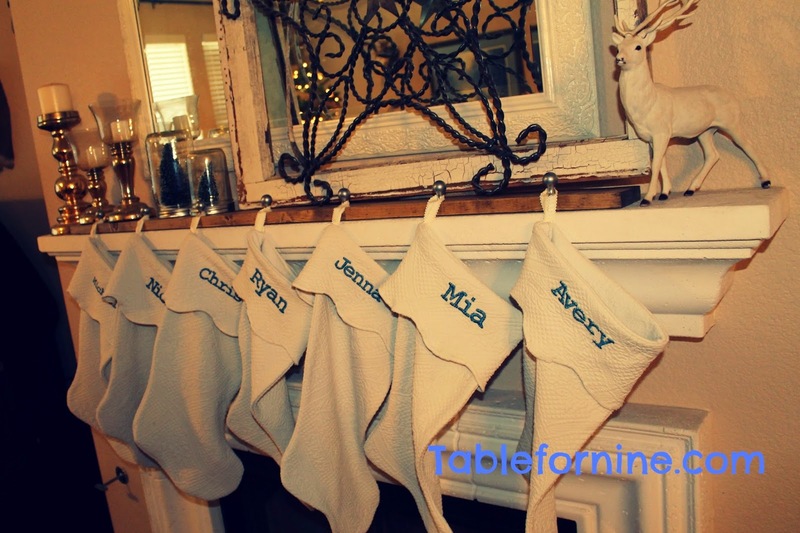 I used my embroidery machine to add the names, then assembled the stockings. Last years mismatched stockings hung with plastic hooks is now a super cute, coordinated mantle. And that also cost me zero dollars. Spending zero dollars at Christmas time when you have seven kids to shop for is a good thing!